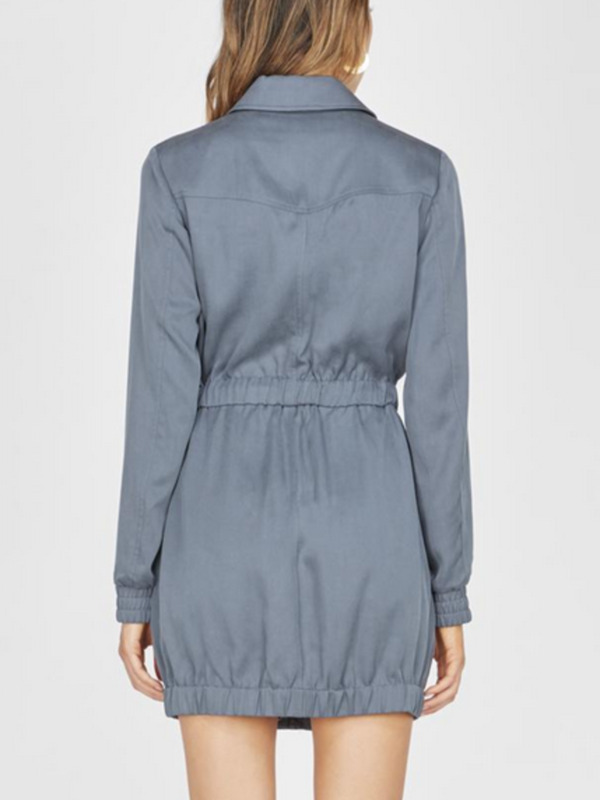 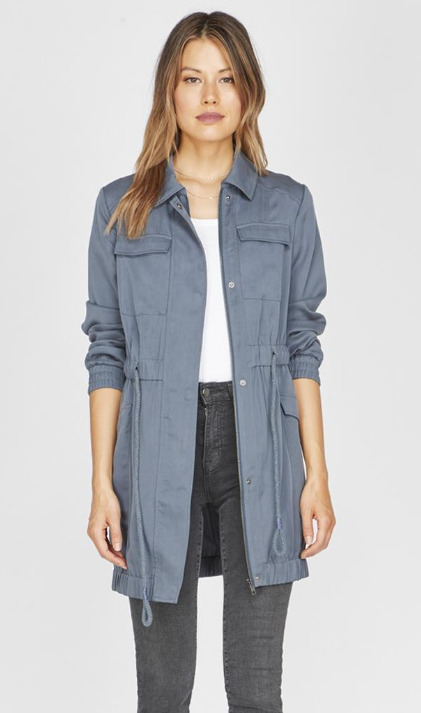 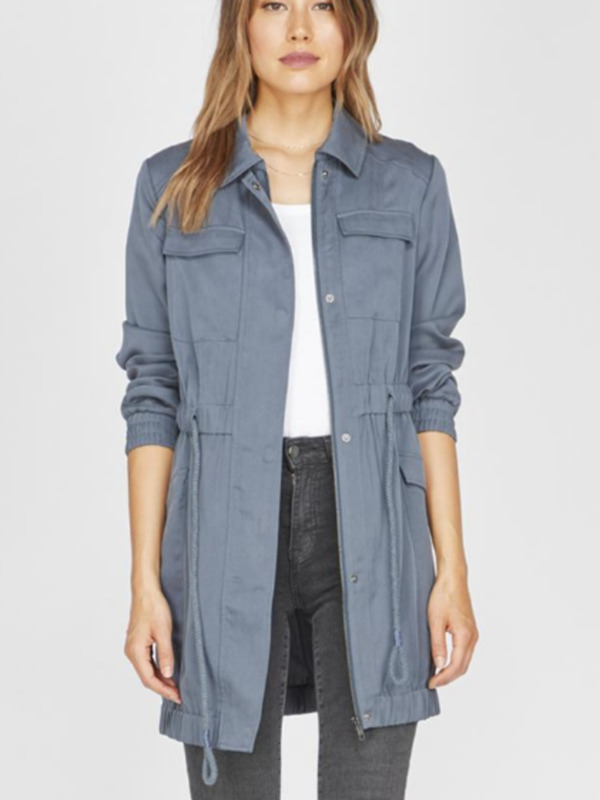 The utility cargo jacket dress is just that, a jacket or a dress. 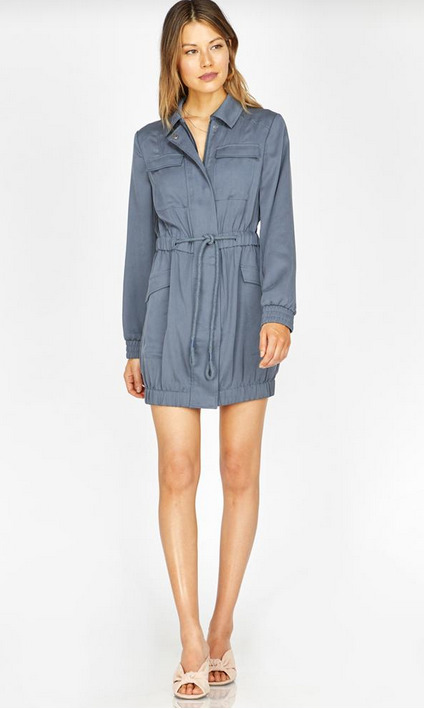 This little garment packs a big punch with the versatility of 2 styles in one. 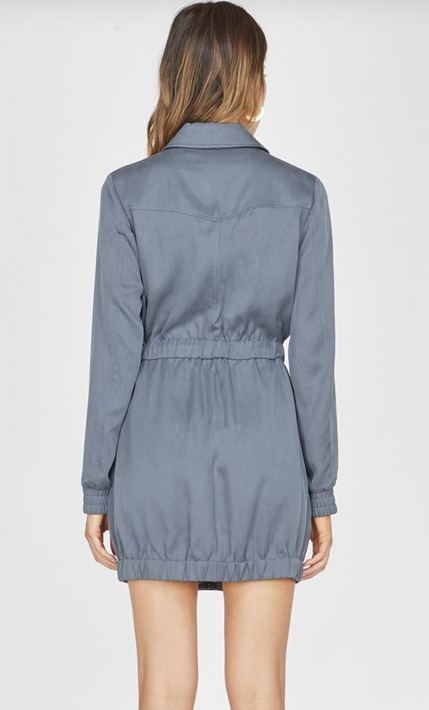 Length from shoulder to hem: 33 1/4"